For the past few years, OSHA has led this effort to get employers to talk to their workers about the hazards of falls and the administration’s desire to reach increasingly larger numbers of workers has been paying off. The Stand-Down reached 2.5 million workers last year for the first time and now OSHA hopes to double that number. If successful, they will be reaching half the construction workforce in the United States. 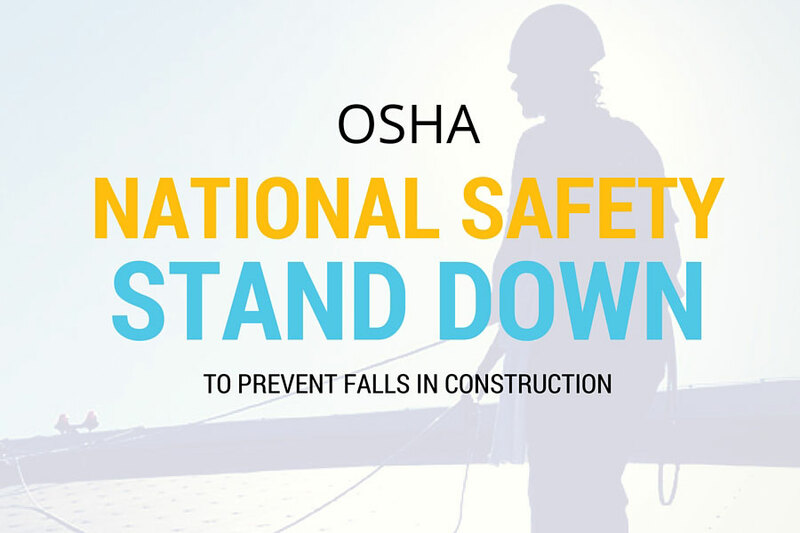 This year the National Safety Stand-Down runs from May 2nd to May 6th. schedule and talk to your workers about falls. Help them understand, through a tool-box talk, equipment inspections, a training class, or some other safety-related activity that falls kill – all too often. 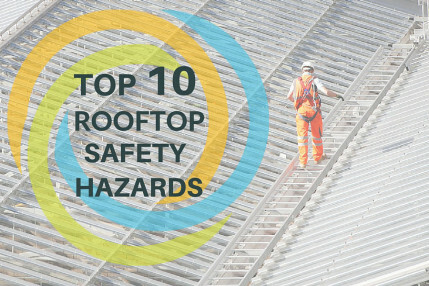 Make them understand how severe the consequences of one mistake can be, find actual incidents to relate to them to make it personal, let them know the cost – in life ­– that fall protection violations can incur. In other words, make them understand – pun intended – the gravity of the situation. We have a ton of safety resources and articles on this site to help your employees understand fall hazards. Take advantage of them, you don’t need to reinvent the wheel. Signup on the email list, and we’ll make sure you get them in your inbox on a weekly basis. Don’t assume that your workforce knows and understands this just because you believe it to be common sense. The idea of common sense is a fallacy. Common sense is learned information, not something we’re born with, so if somebody has been learning something incorrectly his or her whole life then “common sense” could easily get them killed. Taking the time to have this conversation will be well worth not having to find a body on the ground, to not have to look into the eyes of a grieving spouse and children, to not have to counsel your workforce on how to handle the traumatic death of a friend and co-worker. Taking the time to have this conversation is well worth the value of saving somebody’s life. There was a time where death was an accepted side-effect of construction. That time is long gone. Many companies now understand that their people are their greatest resource, but I say forget that. You should be operating safely and training your workforce not because your people are a good resource for your company, but because your people are just that: people. Human life is not an expendable commodity. If you are in a position to protect it, then you should make every effort to do so. If you’re not already making those efforts, then don’t wait for the Stand-Down. You can start saving lives today. To find ways to participate, see what’s been done in the past, or share your story, go to https://www.osha.gov/StopFallsStandDown/. Once complete, you will be able to download a certificate of participation. And don’t stop at your own employees. Spread the word on Social Media using the hashtag #StandDown4Safety. Your voice could convince another employer to participate. Your voice could save lives you never thought you could affect. As safety consultants, our job is to help employers and employees understand the OSHA inspection process and inform them of their rights during these inspections. 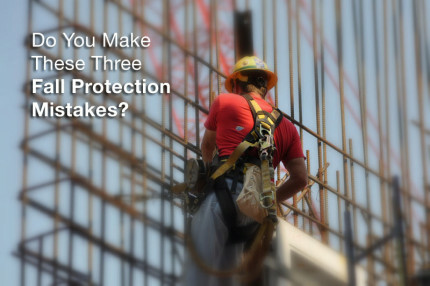 Do You Make These Three Fall Protection Mistakes? 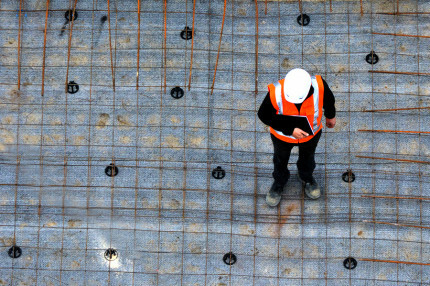 Fall protection rules can seem complicated because every situation is different.